Qantas Airlines is famous for its advertising. 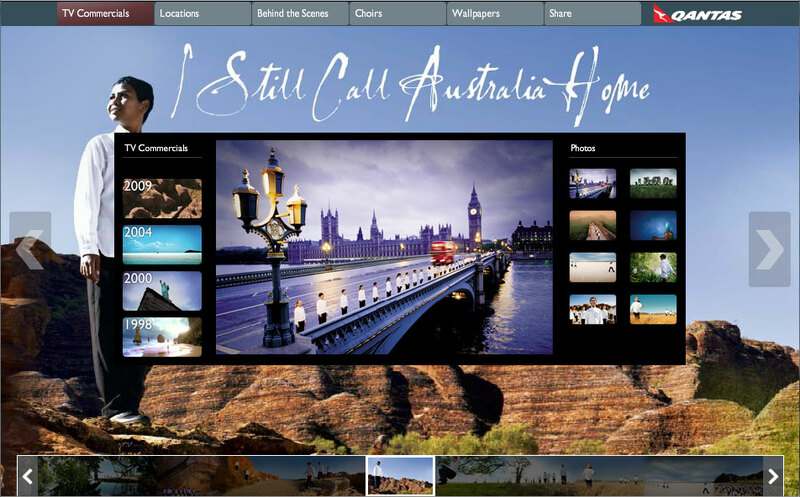 Particularly, they are world-renowned for their television promos featuring the song: “I still call Australia Home”. Wanting to celebrate the years of creating these iconic TV campaigns, Qantas Airlines wanted the creation of a microsite for the TVC series. 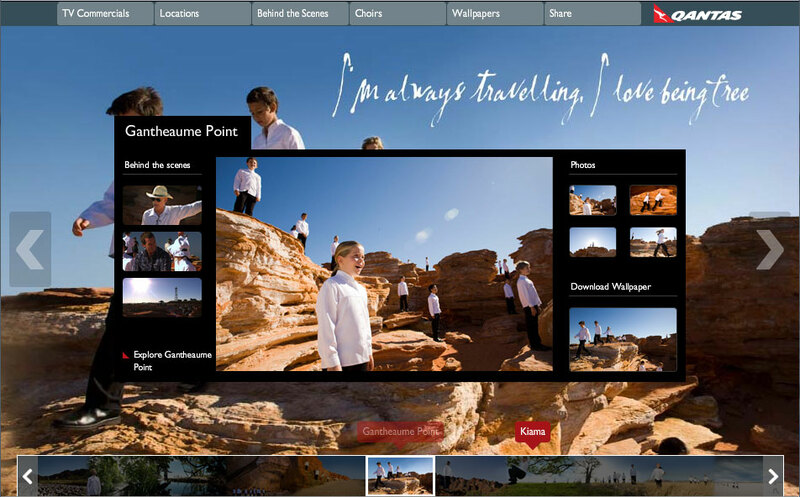 Liquid Logic designed the portal for Qantas where users can explore behind the scenes footage, making-of and reminisce by viewing past campaigns. 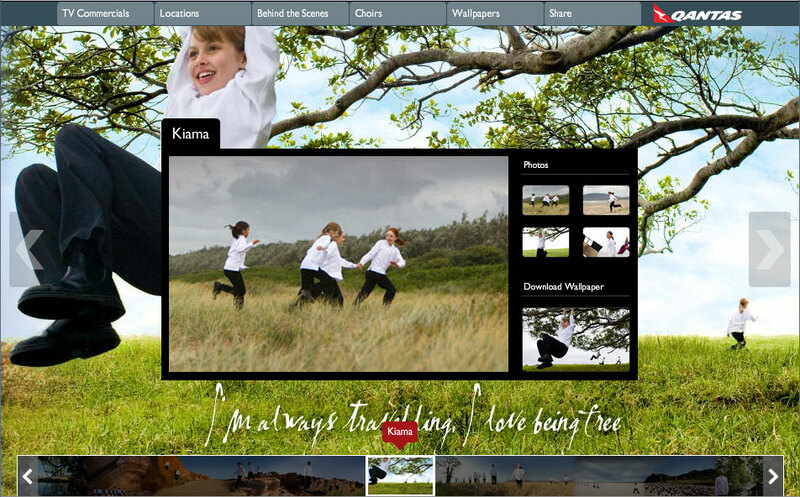 The design shows the locations in a panoramic view on the bottom where the users can navigate seamlessly and explore at ease. This project was developed in-house at Ogilvy in Sydney.